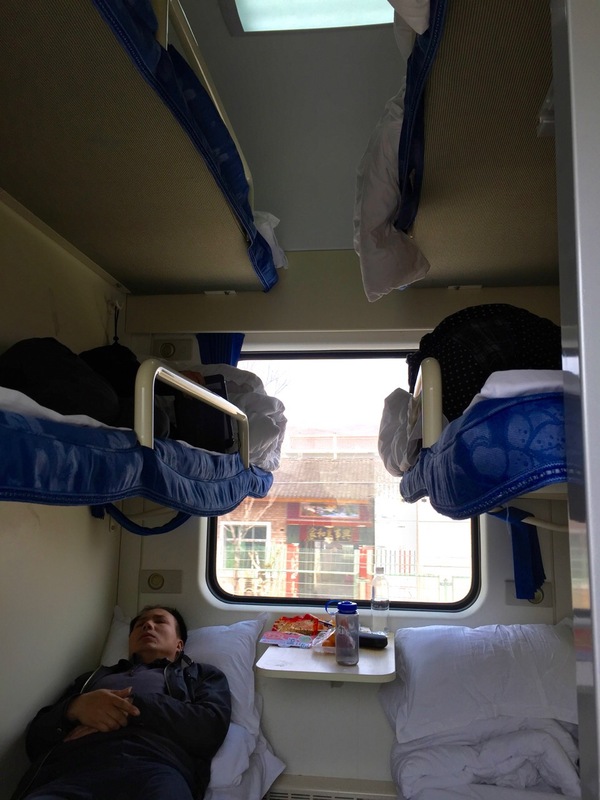 Our shared second class (hard sleeper) cabin with six bunks. We have been so extremely busy with preparations that I haven’t even had time to post that we’ve started. But we’ve more than just started, we’re already in New Zealand, our third country on our itinerary and we are lovin’ the scenery and weather. What hasn’t been easy is the rigorous schedule I’ve managed to put us on with only nine days to take in all the splendor of New Zealand. If you’ve ever wanted to visit Tibet, Bhutan or Nepal, here’s your chance. We are organizing a trip of a lifetime and we’re inviting you to join us as we explore this fascinating area. The tour is 16 days from April 5, 2016 to April 20, 2016 and is timed to coincide with the Rhododendron Festival in Thimphu, Bhutan from April 18 to 20. 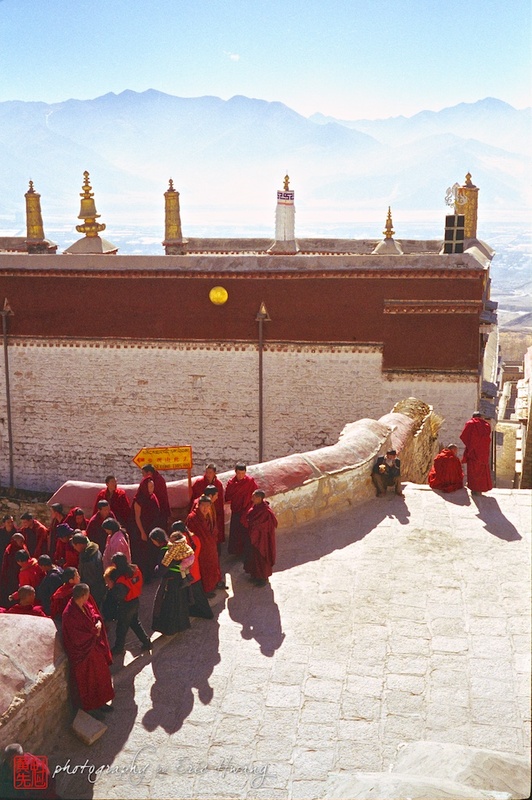 Monks headed to morning rituals in Lhasa. You can join us for the entire tour, just Tibet, or just Bhutan. You can also extend your trip on either end with a tour of Beijing, extra days in Shanghai, or a tour of other areas of Nepal. Our plan is to arrive in Shanghai a couple of days prior to the train departure to see the city. Flights are available from Shanghai or Beijing to Lhasa, but we recommend the train to see some of the spectacular scenery along the way and for additional time to gradually acclimate to the altitude. The train is also about half the cost of a flight. Open-jawed airfare from your U.S. city to Shanghai or Beijing and from Kathmandu back to the U.S., about US$1,500/person.